Honolulu homicide detectives are leading the investigation into the case of a visitor from Japan who has been missing since last week, and they are asking for the public's help. 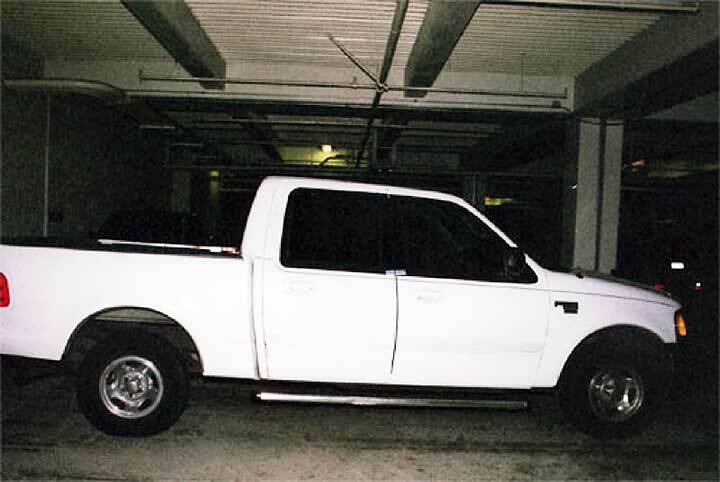 As part of their investigation, police seized a white 2003 Ford F-150 four-door pickup yesterday and are asking the public for any information that will help them track the whereabouts of the vehicle from April 12 to last Monday. Masumi Watanabe, 21, was last seen taking a walk on Pupukea Road near Alapio Road at about 9:20 a.m. April 12. The case is still classified as a missing-person case, but homicide detectives have taken the lead in the investigation, police said. The search started in Pupukea but expanded to Windward areas, including Kahana Valley, after more leads came in. The pickup truck's owner was questioned by police, who declined to release more information about him because he has not been named as a suspect. Police want the public to call them if they saw the truck in Pupukea, Kaneohe or in town. "Right now, their leads have them running everywhere," said Lt. Kim Buffett, of CrimeStoppers Honolulu. She noted that the truck, seen in the area at the time of Watanabe's disappearance, has a silver, after-market gas cap. Investigators were looking for vehicles that were seen in Pupukea at the time, and searched a truck at Hauoli Pest Control and a truck belonging to a company employee. Buffett said a Ford F-150 truck was mentioned several times in the investigation but that the Hauoli Pest Control vehicle is not connected to the case. Police would not say whether the employee's truck is the same as the Ford F-150 truck that was impounded. Police also declined to comment on why the Ford F-150 was impounded, saying it is part of the ongoing investigation. Buffett said nobody has reported seeing the truck's owner and Watanabe together. Watanabe arrived from Japan in February and has been living with a host family. 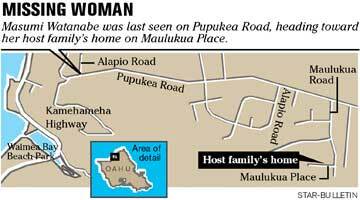 She was headed back to her host family's home on Maulukua Place farther up the mountain. Her parents arrived in Hawaii on Monday.